Well, what can I say about this one? It’s not bad, but it’s not exactly great. Ultimately, this album really makes me wish even more that Maynard and Tool would finally focus on finishing their new album. 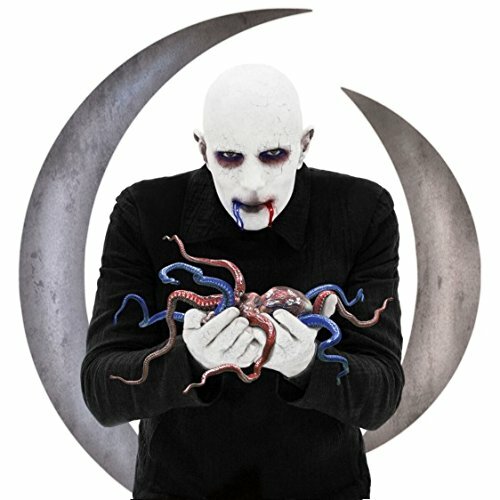 So, I guess you can say that I’m somewhat underwhelmed by the material A Perfect Circle has come up with on Eat the Elephant. This really isn’t a guitar album in any way, shape or form. This is firmly in the alternative realm. You’ve got a great deal of keyboards and programming dominating the sound. You’ve got some fairly melancholy lyrics that are pretty spot on regarding many of the social issues going on today. Maynard’s vocal approach is very subdued and finds him exploring a little more of his higher range than usual. I think if you’re a bigger fan of A Perfect Circle’s past output than I am you’ll find a lot to like about this album. It just didn’t hit me in that sweet spot that Mer de Noms did. Like I said, it’s not bad. It just fell somewhat flat for me.